2018 - Best Master Thesis Award to Diana Alves Moita, November 2018, Instituto de Medicina Molecular João Lobo Antunes. 2018 - BioMalPar XIV 2018, 23-25 May 2018, EMBL, Heidelberg, Germany. Margarida Vaz Winner of Best Poster Award. 2017 - iMed 9.0 Fundação AstraZeneca Innovate Competition, Rafael Luís Winner of Best Presentation in Basic Science. Photo here. 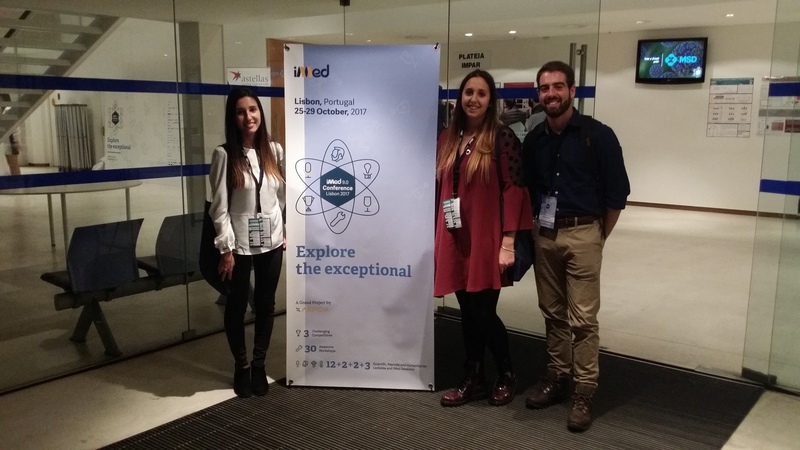 2017 - iMed 9.0 Fundação AstraZeneca Innovate Competition, Daniela Brás, Diana Alves and Rafael Luís Finalists Oral Presentation, 27 October 2017. Photo here. 2015 - 11th Annual BioMalPar/EVIMalaR Conference, EMBL Advanced Training Centre, Best Student Oral Presentation to Patrícia Meireles, 11-13 May 2015, Heidelberg, Germany.